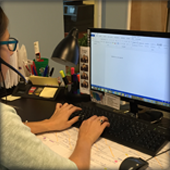 Our flagship answering service. Never miss a lead. Convert more calls to consults. Reengage inactive patients with our dynamic patient recovery program. 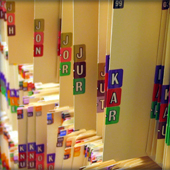 Provide your staff with the skills to convert phone inquiries into patients. OptiCall's new program offering personalized follow-up to online lead forms. Based on experience gained by handling over 2 million elective procedure calls, we have developed a "Logical Progression" conversation system that turns more of those calls into patients. We have helped over 200 practices nationwide become more profitable with programs and services that effectively convert initial calls to consults, and those consults to procedures. Within 30 seconds, a prospect will make the important decision of whether to proceed, or to look elsewhere. Will your practice be ready? You pay a lot for your LASIK leads, with your marketing, your advertising. The worst thing you can do is drop those phone calls and not get those patients in the door. OptiCall’s been a great asset. 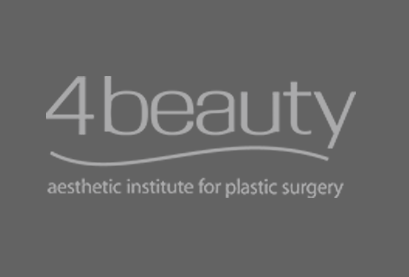 Having OptiCall has helped us grow our business, I now have peace of mind knowing our new leads are being handled well, while my staff can focus on other areas of the practice. We started the Boomerang program in January 2015, and have already scheduled over 400 appointments for previously inactive patients. I am so glad we are now using Boomerang! We had trouble with the staff making recalls and patients were lost and then revenue was lost. Since we partnered with OptiCall our clinical volume continues to expand each year. While everyone else is singing the blues, we've had our best months ever. Our secret? The usual stuff and OptiCall's ACE program. 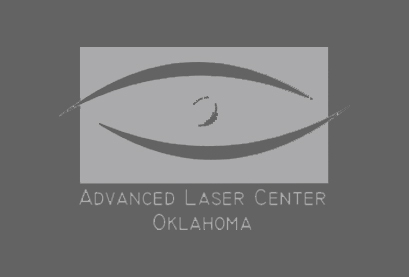 LASIK may be elective, but ACE is almost mandatory. What started as a hardwired phone on the kitchen table in a Boston apartment, has grown into the industry's leader in medical practice support. Learn about the history of OptiCall, and gain insight into our philosophy and operation. 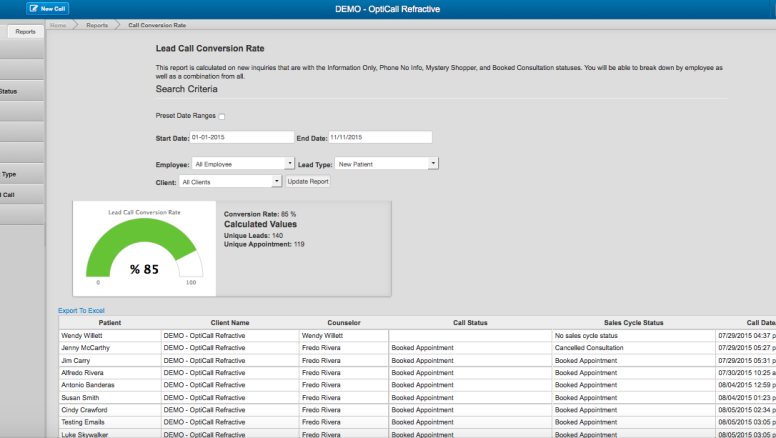 OptiTrak, our cloud-based patient tracking program, delivers real-time data on calls, leads, conversions and scheduling. Developed in partnership with industry-standard MD Prospects lead management platform, OptiTrak is your comprehensive practice CMS. Watch a Video Testimonial from Mark Prussian, CEO of The Eye Care Institute. We have practice. 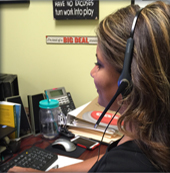 Our Florida-based call center representatives talk to patients just like yours over 100,000 times a year. So we know what they're thinking, and what to say. 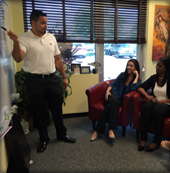 Our clients range from national medical manufacturers to 3-person hometown practices. From East to West, in most every elective medical industry.We can adapt to your marketplace. At OptiCall, we hone our craft by handling over 100k annual elective medical phone calls. We know the industry. We'll know your practice. We provide FREE, no obligation mystery shop phone assessments. Want to know how your practice stacks up? Our newsletter is filled with industry insights and contributions from advisors. Sign Up Now!